Carlin Motorsport‘s Louis Delétraz hopes to be fighting for the championship come the end of the season, ahead of the upcoming FIA Formula 2 series. 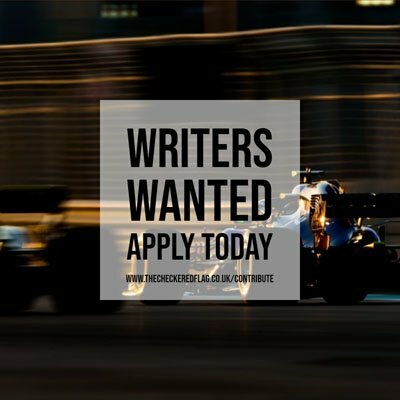 The 2019 Formula 2 championship starts at the Bahrain Grand Prix this weekend, commencing a twelve round series to find the next Formula 1 superstar. Last year’s edition saw George Russell, Lando Norris and Alexander Albon finish in the top three and subsequently were promoted to F1 in 2019. Swiss driver Delétraz joins Carlin ahead of his fourth season in GP2/F2. He previously drove for the British team for one round in 2016, when he entered the series for the first time. The twenty-one year old ended last year with Charouz Racing System in tenth place with two podiums to his name. At the end of the season, Delétraz tested with the Haas F1 Team at the post-season test in Abu Dhabi. Reflecting on his pre-season testing, Delétraz says that he’s happy with the result and feels confident for the first round in Bahrain. With the first round taking place around the Sahkir International Circuit, Delétraz noted that tyre degradation will be a key factor around the desert of Bahrain. “It’ll be very, very hot and tyre degradation will be high. It’ll be a completely different situation to how we tested and something we’ll have to adapt to quickly. But that’s where the experience of the team and myself kicks in. Pre-season testing saw Delétraz be one of the drivers who consistently produced strong times, putting himself as one of the front runners for this year’s F2 title. Delétraz aims to fight for the championship come the end of the season and aims to start the season off strongly with victories and podiums. “My personal wish is to fight for the championship at the end of the year. I want to be straight on the pace and battling for victory and podiums from round one, that’s the goal,” commented Delétraz.